194 Commercial Real Estate and Properties in Townsville are listed in 8 categories. We have 90 Industrial Warehouses for Sale , 35 Offices for Sale , 30 Development Lands for Sale , 26 Retail Shops for Sale , 10 Medical and Consulting Properties for Sale and 9 Showrooms for Sale . For Sale - By Expression Of Interest Contact Des Besanko for m..
Medical/offices On Busy Road - For Sale Contact Des or Cecelia to.. FEATURES: 96m2 or 175m2 Approx High profile frontage to traffic Reception area Off street car parking Air conditioned throughout Amenities Kitchen Modern, clean fit out Wheel chair access Contact Des Besanko on 0419 860 129 or Cecelia Reed on 0437 438 234 for an inspection today. Dominant Location Offering Premium Exposure - Development Land Opportunity Contact Exclusiove Sellin..
Tenanted Investment Property - Mackay Cbd Contact agent today! 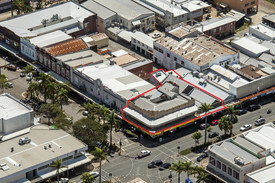 This prominent building is centrally located in Mackays CBD, surrounded by other successful businesses. With the current lease in place, the return is approx 8%. This property has excellent exposure to traffic both vehicular foot. Just minutes to Canelands Shopping Centre only a short stroll to banks, eateries other services. Lease Details: Tenant Oticon Australia Pty Ltd Lease Term 1/02/2019 01/02/2022 Annual Rent: $20,380.00 plus GST Outgoings To arrange an inspection please contact Cecelia Reed on 0437 438 234 or Des Besanko on 0419 860 129. 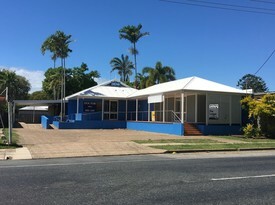 **sold** For Sale - The Palace Hotel Contact Des Besanko for a..
Office Space - North Mackay - For Sale Contact Des Besanko today! The property comprises an enclosed high set Queenslander', renovated for office space, with off street car parking. The building measures approximately 260sqm between two levels, on 850sqm of land. The property has amenities, ample parking, reception/waiting area, storage space and two levels of office space. The Grendon Street building is ideally situated on the fringe of the Mackay City Business District, and just a few minutes drive from the Caneland Central shopping centre. This location is conveniently placed in close proximity to Mackay City Centre. The Mackay harbour and industrial hub is just minutes down the road also. Contact Des Besanko on 0419 860 129 or des.b@rhc.com.au. Here is a rare opportunity to buy a substantial, well established earthmoving business in time for the mining boom. Coal prices are at an all time high and coal now generates more export income than iron ore. We operate from Mackay to Moranbah, Dysart and beyond. This is the heart of the Queensland coal fields and does not take into account, the massive Adani development at Carmichael which will be the largest coal mine in Australia. Also included is a 5bedroom high set home which can be used for staff accommodation. Mackay is a coastal town in Central Queensland that promises the perfect sea change for someone looking to escape the big city. Mackay is the largest town servicing the Galilee, Bowen and Surat Basins which, along with the Carmichael lease held by Adani, make up the worlds make up the largest coal mining deposits and they all need earthmoving equipment. Our business is substantial with a database of loyal, repeat clients who act as our best advertising by recommending our services regularly. We have built up a reputation for having reliable equipment and for providing excellent service. Turnover for the past 4 years has been around the $1 million mark and with only 4 employees, profits are excellent. During the boom years, business turnover exceeded $2.5 million and we are about to see boom times again. As coal prices hit record highs, mines a reopening and expanding. We are putting on new staff to handle the increased enquiry. Growth and expansion prospects under a committed new owner are unrivalled. The list of equipment is staggering and includes: 5 bedroom high set home to live in or for staff accommodation 2 x Toyota Hi lux Dual Cab utes 5 x 633 Scrapers 2 x 657 Scrapers BMA mine spec fire suppression access platforms 5 tonne fork lift 2000L self bunded fuel trailer plus Self bunded oil servicing trailer Flat deck trailer Laser trailer Boily trailer 400amp welder/ 70cmf screw compressor/ 3 x 20ft shipping containers and more Whether you are an existing civil contractor looking to expand your empire of an investor looking for an excellent return on investment, you MUST look at this business. While being a current raging success, it is still underdeveloped and prime for expansion and stunning growth as the mines reopen and expand. This will not last long, so for more information, please call the number above TODAY! Located within the Bohle Industrial precinct and exclusively listed with Elders Commercial this property would suit a multitude of Small Industrial and Trade applications. Currently utilised as a Residence with office and separate Workshop facility the property offers ample external concrete pad areas for vehicle and equipment storage. Close to the Northern Highway (Bruce) and link access Western Highway (Flinders) the property offers a neat small fully air conditioned miners cottage with office and a separate brand new roller / side door accessed Workshop. For further information or to arrange an inspection please contact Glenn Adair or Leah James on (Glenn) 0411 213 880 (Leah) 0407 579 338. Potential 254 Lot "park Residential" Estate - Receivers' Sale - "settlers Rise" Registrations Of Interest. Opposite the Townsville Golf course and formally the Townsville Hospital and Health Services Day Therapy facility this property would suit anyone looking for a Residential property or possible Medical and consulting type practice. Offering three private air conditioned (3) Bedrooms or consult rooms plus two (2) larger Living areas or office/s / training rooms there is ample room for any middle to large sized family or business to live and operate from. Position in a sought after precinct and located within the leafy suburb of Rosslea the Townsville Golf course is just across the road. For further information or to arrange an Information Memorandum regarding this unique property please contact selling agents Glenn Adair on 0411 213 880 or Leah James on 0407 579 338. Built over 2 levels this accommodation complex, complete with beds, blankets and furniture, has a wide range of uses. , 46 a/c rooms, 6 showers toilets , 3 kitchens with ample storage and food prep areas , 2 dining areas and 2 Recreational Rooms , Built on 1604m2 with 2 titles , Multiple secure entries and exit options , Abundance of parking in adjoining Boddington Street Previously used to house Queensland Rail workers since the 1970's this property has an abundance of potential uses. Fancy running your own budget accommodation or backpackers? Part of a community group of Charity that wants to establish a shelter or drop in centre? A local company wanting to house your workers? A rare opportunity to make this unique, well situated property your own. Inspect today Disclaimer: The Agent does not give any warranty as to errors or omissions, if any, in these particulars, the provided information from the Vendor can be deemed reliable but not accurate. Any persons interested in the property should conduct their own research. Situated amongst Bohle Industrial Precinct Is this fully secured office and yard combination. Property features include: Freestanding office building fully air conditioned Large 1,599sqm yard for storage or ready for workshop construction Located within industrial precinct with industry zoning Direct access to Ingham Road, North and Southbound To inpsection enquire today with Kyle Grigolon on 0413 431 529 email kyle@epcnq.com.au.